Take advantage of Royal Caribbean’s new 1-2-Free offer, where every third night is free. Book by April 30, 2017 and enjoy 2-for-1 cruise, plus international air discounts. Europe, Japan, and Alaska Cruises and Cruisetours sailing from July through September 2017 are on sale. You will want to make the most of their vacation time. Now youl’ll be inspired to see and do more than ever. With Ocean Medallion Class, guests experience a truly personalized and effortless vacation, so they can do more of what they love. Book ANY stateroom on select sailings June 2017 – March 2018 and receive Prepaid gratuities (hotel service charges), Up to US$500 onboard spending money, PLUS, book a suite and receive an additional US$100 internet credit. Book Oceania Cruises by March 31st for $99 Europe Air Upgrades & Lower Fares. Prices on over 80 different voyages will increase on April 1st, our $99 Premium Air Economy upgrade will expire for 2017 sailings, and will increase to $149 for 2018 sailings. Click here to view all of Oceania Cruises promotions. AmaWaterways celebrates the modern epicurean lifestyle with Wine Cruises. Click here to view all of AmaWaterways Wine Cruise brochure. Three for All Promotion Ends April 26, 2017! Enjoy up to 30% off Launch Fares† plus up to $1,000 Onboard Credit per stateroom and Alternative Dining Credit. Plus, Free Gratuities on Mediterranean Voyages. Regent Seven Seas Cruises is celebrating our 25th Anniversary with some festive programming in addition to a very special offer for your domestic flights and FREE ROUNDTRIP BUSINESS CLASS AIR on all intercontinental flights. 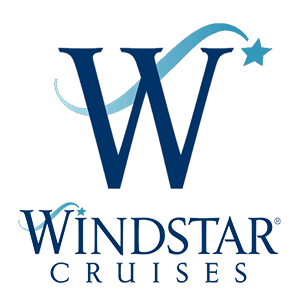 Treat yourself aboard Windstar’s beautiful yachts — large enough to pamper and entertain you, yet small enough to tuck into delightful tiny harbors and hidden coves others can’t reach. It’s like having your own private yacht. Receive a $100 gift card for PONANT Antarctica bookings placed now until April 30, 2017.